Получена первая для меня e-QSL карточка от Universe Radio из Нидерландов за рапорт от 30 сентября 2017 года. Карточка получена после повторной просьбы подтвердить рапорт. Thank you very much for the reception report you have send us through e-mail. Please find attached the E-QSL for the reception report you have send us. 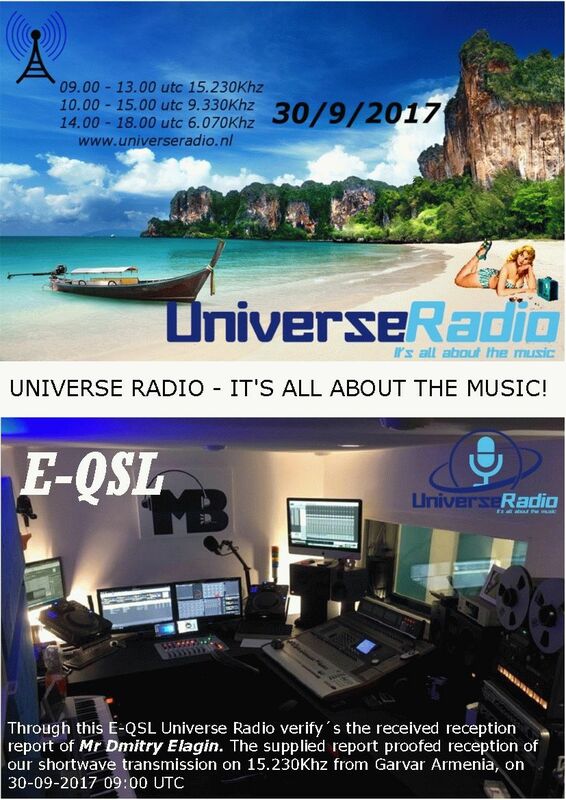 Universe Radio will be making more shortwave broadcasts in the future. We are currently back-logged on our (E)-QSL, our apologies for the delay. Best regards, met vriendelijke groet.